When we try to compare the Windows 7 Operating System with Windows 8 Operating System, first of all we have to know the features of Windows 7 and Windows 8. Here are some features of Windows 7 and Windows 8 operating system. 1. Windows 7 includes a number of new features when compared to Vista. Some of them are touch and handwriting recognition, support for virtual hard disks, improved performance on multi-core processors, improved boot performance, kernel improvements. 2. Windows 7 adds support for system using multiple heterogeneous graphics cards from different vendors, a new version of Windows Media Center, a Gadget for Windows Media Center, improved media features, the XPS Essentials pack and Windows Power Shell included. 3. The task bar has seen the biggest visual change, where the quick launch toolbar has been replaced with the ability to pin applications to the task bar. Buttons for pinned applications are integrated with the task buttons. These buttons also enable the Jump Lists feature to allow easy access to common tasks. Not only these, there are several other major changes have done to the Windows 7 operating system. 4. 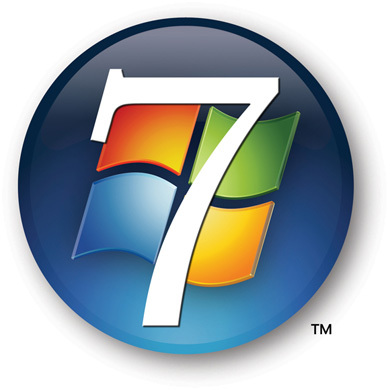 Lots of new features are included in the Windows 7 operating system when compared to Windows Vista. Due to inclusion of this software's and additional features, Windows 7 is the highest selling operating system in the history of Microsoft. 1. Windows 8 includes a new "Hybrid Boot" option that uses "advanced hibernation functionality" on shutdown to allow faster start-up times. Another new feature is, the ability to create a Portable Work-space, an installation of Windows 8 on a USB storage device. 3. Based on the Milestone 3 (build, build 7971), which was released on March 29, 2011. The Windows 7 Basic theme has been replaced with a new theme, where the boxes that encase the "close, maximize and minimize" buttons have been removed, leaving just the signs. It also has a Welcome screen, new packaged application model called AppX that is based on Silverlight. Windows Store to review and buy applications online, and a setting to automatically adjust window color to fit the wallpaper. It also includes a stripped down "Immersive" version of Internet Explorer, similar to the mobile version of Internet Explorer, but using the desktop Trident rendering engine. 5. Another Best thing with Windows 8 is, it is optimized for touch screen devices, but will equally support keyword/mouse based desktops,net books , notebooks etc., According to Microsoft, you choose the device, Windows 8 is going to run on it. 6. Windows 8 is going to use a new File system called "Protogon". Since the NTFS file system was introduced with Windows NT, Windows 8 may perhaps be the OS that Microsoft will use to debut a next generation file system called Protogon. In the new file system we are going to get a detailed information about any device which is connected to the system. 7. Windows 8 will be having a updated windows 8 installer, which can cleanup the disk. It will be helpful while installing the OS to clean the disk. With this feature, we can check whether there is any data on the Hard drive where the os is going to install. 8. Windows 8 will have ISO verifier, which will verify the ISO image and says whether it is a legitimate image or not. 9. Windows 8 will follow you across devices(roaming user profiles). 11. Windows 8 has support for the Windows App store. (you can download your apps). 12. Destroy a Virus and keep your data with a "reset". 13. Decrease in the boot time, the boot time is decreased from 40sec to 27sec in Vista. Microsoft wants to cut this boot time to half in Windows 8 operating system. 14. Windows 8 is going to use Facial Recognition for Login. 15. Better and more intuitive system views.